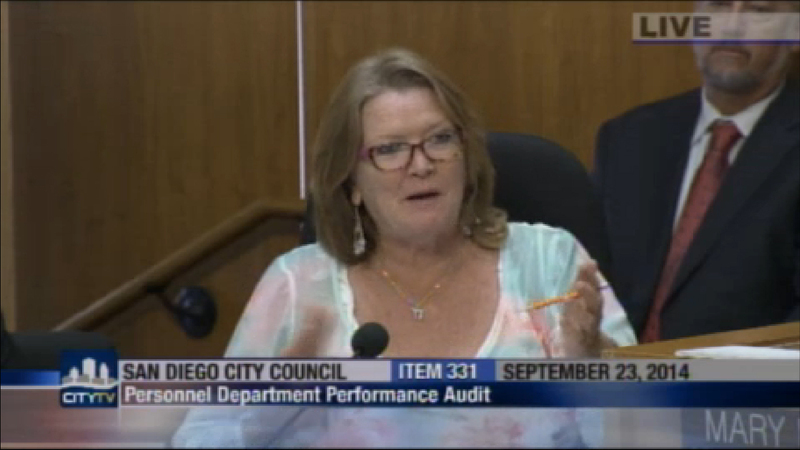 The office of San Diego Councilwoman Marti Emerald said a statement will be released Wednesday about her future plans, following a report that she would not run for reelection. Emerald, who has missed numerous City Council meetings while she undergoes treatment for breast cancer, will step down at the end of her term next year, NBC7/39 reported. The former television troubleshooter represents a stretch of the city that runs from San Diego State University to Southcrest, including many economically disadvantaged neighborhoods. Her District 9 was created in time for the 2012 election, which she won handily. Before that, she occupied the council seat now held by Scott Sherman. Changing districts placed her in a gray area of the term limits law, which limits council members to two four-year terms. Her spokesman, Ralph Dimarucut, would not comment to City News Service, but said a statement would be made available Wednesday. If Emerald chooses not to run for reelection, next year’s election cycle would feature at least three open seats — hers and those of Council President Sherri Lightner and Councilman Todd Gloria, who are being termed-out.